Today’s independent review of the Allianz MasterDex X Fixed Index Annuity with Simple Income III Rider should help investors decide whether this extremely popular fixed index annuity is right for them. Toward the bottom of this post you’ll find a video where I put my excel skills to the test and built a model that stress tests this annuity. As a fee-only financial planner, I do not receive commissions nor do I sell annuities, but from time to time I am asked by a client or a blog reader to review an annuity. A new client of our firm had been offered this annuity by a salesperson and requested a review of this annuity. This review is neither a recommendation to buy nor a recommendation to sell an annuity. I am not compensated for this review. Allianz has not endorsed this review in any way. Before purchasing any investment product you should perform your own due diligence by reviewing the prospectus and other materials for the product. This review should not be considered personalized advice. Please, consult a properly licensed professional should you have a specific question about how this product can fit into your individual financial circumstances. All names, trademarks, and materials used for this review are property of their respective owners. Allianz offers MasterDex X investors the option to choose between several different indexes. In today’s review I will be using the S&P 500 because there is more historical data available for it than the other indexes. This way, both readers and insurance agents alike can verify my data using easily accessible public information. Allianz likes to advertise that the MasterDex X has a 100% participation rate in the index. Participation rate is the amount of the index return Allianz enters into its interest crediting formula. If an annuity has a 50% participation rate in the S&P 500, and the S&P 500 rises by 10%, the insurance company would use a 5% rate of return in the crediting methods below. If an insurance company has a 100% participation rate in the S&P 500, the company would use a 10% rate of return in the crediting methods below. However, I take issue with this because advertising a 100% rate makes this annuity sound like you get 100% of the upside of the S&P 500, which you most certainly don’t. If an insurance company doesn’t reduce the rate of return of the index outright by lowering the participation rate, they will likely make up for it by reducing investor returns through the interest crediting methods. Additionally, the index crediting methods use price returns, not total returns, so you’re missing out on the dividend return from the companies in the index. The Allianz MasterDex X fixed index annuity has 3 different types of crediting methods for the S&P 500: Annual Point to Point, Monthly Sum, and Monthly Average. All of the methods prevent a loss to your account, but each limit the maximum interest you will receive in a different manner. The limits that Allianz places on the interest credited will change each year, most likely based on the returns of the market. Annual Point to Point – On the day before your contract anniversary each year, Allianz will calculate the price return of the index for the year, subject to a cap. The cap for the MasterDex X is currently 1.5%. If the return of the index exceeds 1.5%, only 1.5% interest will be credited to the account. If the return is between 0% and 1.5%, you’ll receive the return of the index. Monthly Average Crediting – Allianz determines the value of the index each month and averages these values together. Allianz then subtracts the value of the index at the beginning of the year from this monthly average and then divides this number by the value of the index at the beginning of the year. Once Allianz calculates this monthly average return, they subtract what is known as a spread. Instead of a cap, like in point to point, a spread reduces the return of the index by a set amount. So if the return calculated under this method is 8%, Allianz will currently subtract 5% from this and credit your account with 3% interest. Monthly Sum Crediting – Allianz uses the monthly returns to determine credited interest under this method. Both the gains and losses from each month will be added up to get a monthly sum value. To limit the interest credited to MasterDex X contract owners, Allianz caps the gain in any given month to 1.1%, but does fully counts all losses. So, a 10% monthly loss would be counted in the formula, but a 10% monthly gain, would be capped at 1.1%, the sum would equal -10%+1.1%= -8.9%, instead of 10%-10%= 0%. If any of this is unclear, the video below should help shed some light on the crediting methods. I have modeled each of them out so that we can see what each method would have returned over the last 88 years. 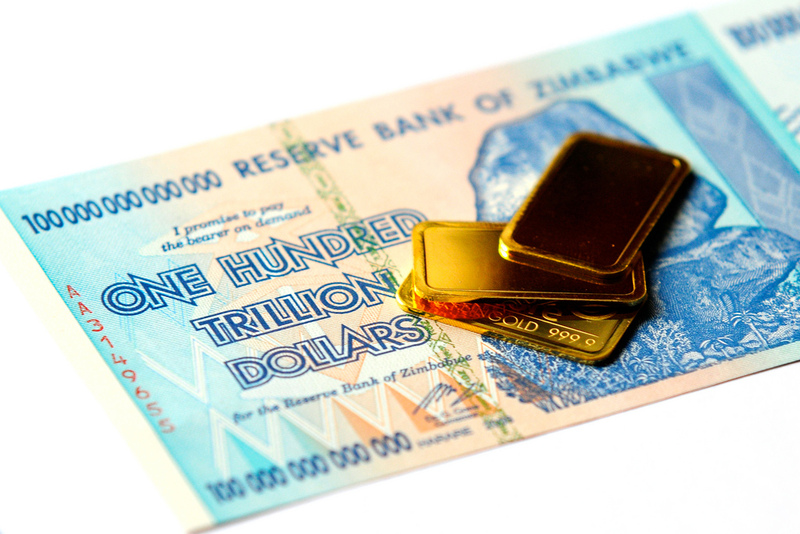 Most investors purchase the Allianz MasterDex X because they want guaranteed lifetime income. The Simple Income III Rider is the lifetime income rider for the MasterDex X that my client was offered. This rider provides a 6% simple interest bonus each year for the first 10 years or until you begin withdrawing income from your account. Note: All payout options listed here are for a single life, not a joint life expectancy. These calculations also assume a purchase date of age 65 and an income start date of 76. Income Option 1 – Receive 5.5% of your contract value every year for the rest of your life. This can increase if the accumulation value of the account grows greater than the lifetime income base of the account. Income Option 2 – Receive 4.5% of your contract each year. If there is positive growth in the index in a given year, you will receive an increase in your income based upon your crediting method. Income Option 3 – Option 3 offers a variable starting distribution, which is determined when you begin taking payments (4.75% in the video). In this option, you receive a smaller income than the other options, but your income is indexed to inflation for the first twenty years after you begin the income stream. The Simple Income III Rider has an annual expense ratio of 0.95%, assessed on a monthly basis. This expense is applied directly to the returns for the accumulation value of the annuity before any interest is credited. A capped return point to point return of 3.0% would be reduced to 2.05%. 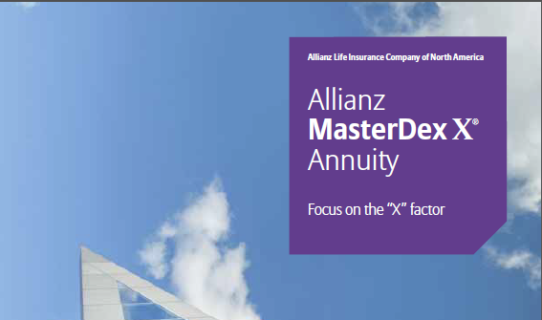 The surrender charge for the Allianz MasterDex X annuity is 10% for the first three years. After which point, it declines at a rate of 1.25% until it goes to zero during year 10. 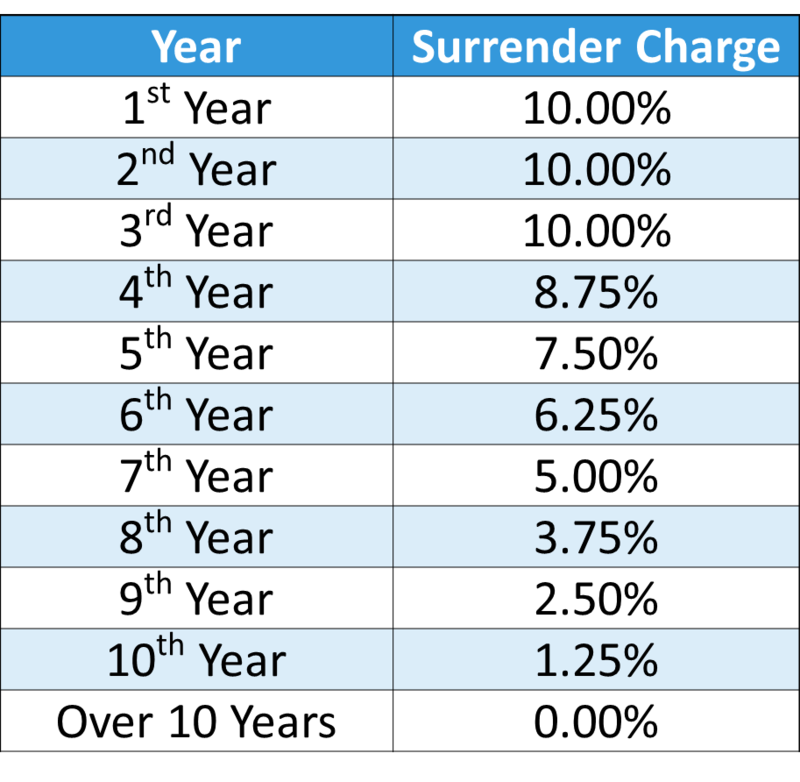 If you invest $100,000 in the Allianz MasterDex X annuity and decide against your purchase after the grace period, you will only receive $90,000 as the surrender value. I use this point as a mere illustration, as it is unlikely that someone would remove their money immediately after purchasing this product. The surrender charge allows Allianz to recoup the commission they pay to their agents, if you do not stay long enough for Allianz to turn an acceptable profit. The commission on this annuity is currently between 6-7%, depending upon the payout method the agent chooses to receive. From my research it is stated that this annuity does not have any base annuity fees, or up front sales charges. Allianz makes a profit on this annuity by limiting the interest it must pay investors, so that it can use their premium payments to purchase higher risk investments, which should produce better returns. In today’s review I allocate 100% of the premiums of the annuity into the S&P 500. The S&P 500 has the most data available and strong returns over the past 88 years. It should be noted that there is an additional 1.0% allocation fee that may be assessed if an investor chooses the S&P 500 Select Index. This index offers a higher annual cap, 3% versus the standard 1.5%, but utilizes a set of stocks within the S&P 500 index. Because of the additional 1.0% fee, this should be evaluated as 4.5% cap on the S&P 500 Select, or a 3.0% cap on the S&P 500. Allianz makes no mention of the composition of the S&P 500 Select Index for the MasterDex X annuity; therefore I cannot provide a satisfactory analysis of its performance. Accumulation Value – This value is the sum of your premium payments, any premium bonuses you elected to receive, and the interest credited to your account each year. This might also be called the contract value. Guaranteed Minimum Value – When you purchase this product 87.5% of the premium value is placed into a hypothetical account, where it grows at a rate of 1.85%, the minimum required by most states. If you were to cash out your account, you would receive the greater of this value is greater or the surrender value. Lifetime Income Base – When you use the Simple Income III rider, you receive a simple interest bonus each year. At an 8.0% simple interest rate, after 10 years a $100,000 premium payment would increase to $180,000. Your income upon beginning withdrawals is based on the greater of this value or the accumulation value. 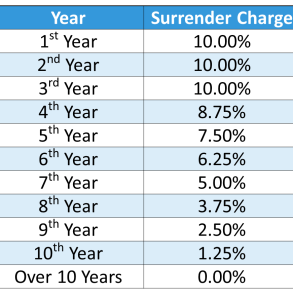 Surrender Value – Surrender charges are detailed above. The surrender value is the accumulation value after it is reduced by a surrender charge and any unvested premium bonuses. Now that we have the nuts and bolts of this review completed, I’ll take you through a model of this annuity in the video below. If you have any questions, feel free to contact me. Annuities, especially fixed index annuities, are complicated financial products that can operate quite differently than how they are described when they are sold. Before you purchase an annuity, consider having an independent financial planner give you an objective opinion about the product. As a fee-only financial planner, I’m only paid by my clients and I don’t receive any commissions from insurance or brokerage companies. This means I’ll objectively review your finances and tell you whether or not an annuity makes sense in your situation. You can request a free annuity analysis appointment, where I enter your personal parameters into the annuity calculator and we discuss your current financial situation for 20 to 30 minutes. I plan to do further reviews in the future so to get an email notification when I post a blog update, enter your email address below to subscribe. I hope this review of the Allianz Masterdex X Fixed Index Annuity With Simple Income III Rider has provided you with a lot of value. If you know of anyone else that can benefit from this annuity review, please share it with them via email or Facebook via the social sharing buttons at the bottom of the post. 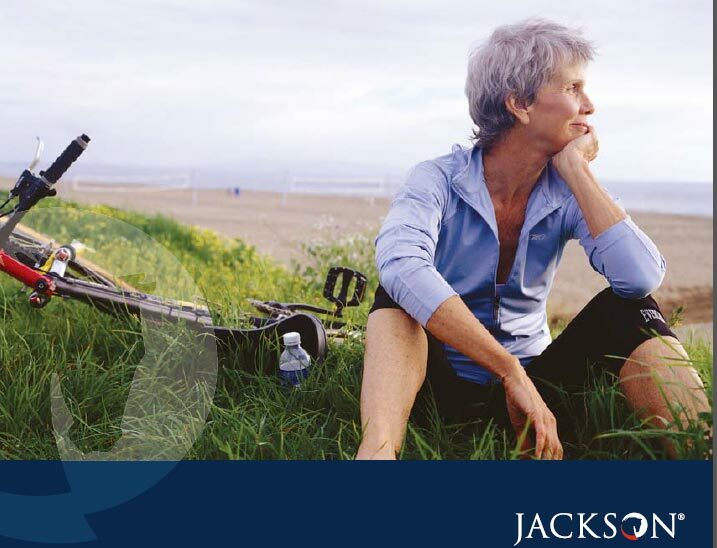 Independent Review of the Jackson National Perspective II Variable Annuity with LifeGuard Freedom Flex What Type of Investment Account Should I Use? Principles of Financial Freedom During Retirement: Investing in Stocks How Does Inflation Impact My Retirement Income? please send inf on master dex 10 joe vazquen in this annuity for 7 yr invested 150,000. original now is at 200,000. don;t now if annuatice.? It was great chatting with you the other day, I hope I helped clear up any questions you had! What is your opinion of Midland National Life Insurance Insurance for an annuity? I’m not really familiar with the Midland National Life Insurance annuity. I should be getting back to cranking out new content soon, so I’ll take a look at that one once I do. I’m 71. Health complications prohibit me from getting long term health care insurance. The indexed annuities seem to be viable substitutes. I’ve been looking at the “Alliance Master Dex X” and the “Security Benefit Secure Income Annuity”. Any thoughts? Is this for the blog update? Thank you. I need to add the opt-in below the articles as well, for now it’s up at the top right. I added your email to blog updates. what do your S&P comparisons look like now after the 2015-16 market losses? About the same. Despite the rollercoaster ride during 2015, the total year (including dividends) of the S&P 500 was around 1.3% for the year. Based on the assumptions I used in the video, the monthly sum and point to point methods would have credited 0% interest last year (the annuity uses prices returns, so excluding dividends), which is typical for a flat year. We’ll see how it would have performed for 2016 at the end of the year, as the model assumes an anniversary date of December. The monte carlo simulation I just ran takes into account the newest returns as of April, and because of the number of months that are already taken into account (1085 data points as of April 2016), they don’t have any material affect on the numbers.